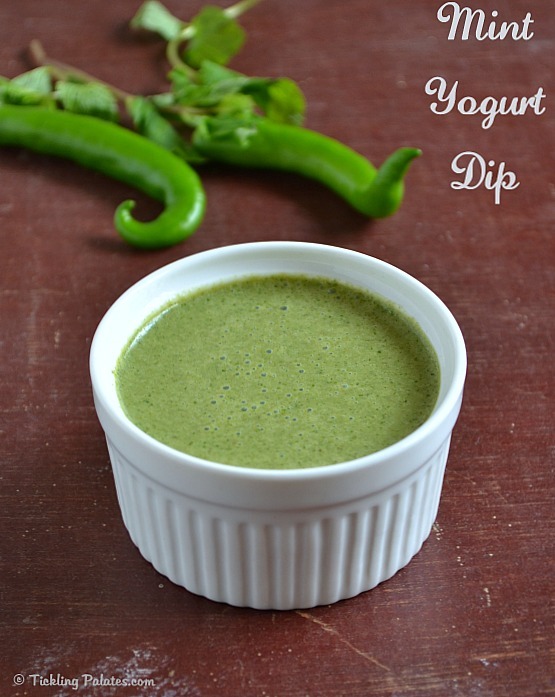 Mint yogurt dip recipe to serve with any snack of your choice. If you make it a little thin, you can also drizzle this on a salad as dressing. I tried this dip recipe last week using fresh mint leaves and yogurt to serve with the beetroot tikkis that I made. 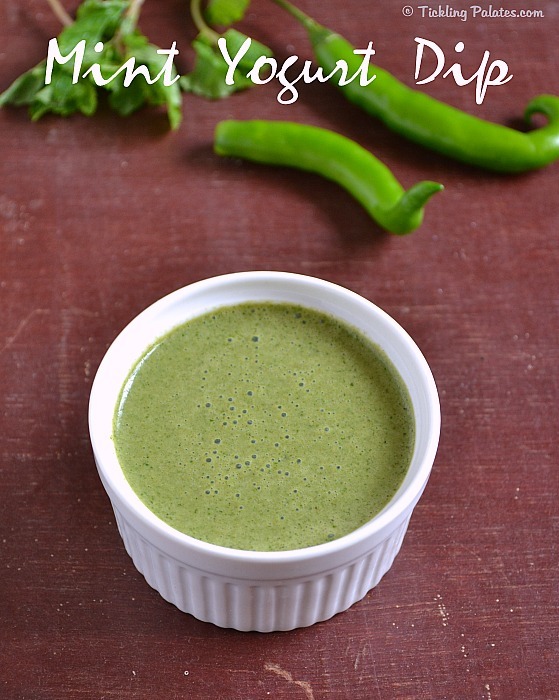 Instead of the usual mint chutney, this dip made a refreshing change. Its perfect to serve with any snacks, chips or veggie crudites as well. As the curd was slightly sour, I did not add any lemon juice to add the much needed tang to this dip. I had some dip left out, so I added some more yogurt to it, blended well and had it as a refreshing drink. To the rest of the dip, I added some finely chopped onions and served it as a raita along with chapathis and the kids loved it a lot too. So not a single drop was wasted and this one dip recipe served in multitude ways. If you do not have chaat masala powder, then add roasted cumin powder in place of it. You can also use coriander leaves in place of mint leaves or a combo of both leaves. Adjust the green chilies according to your taste buds. 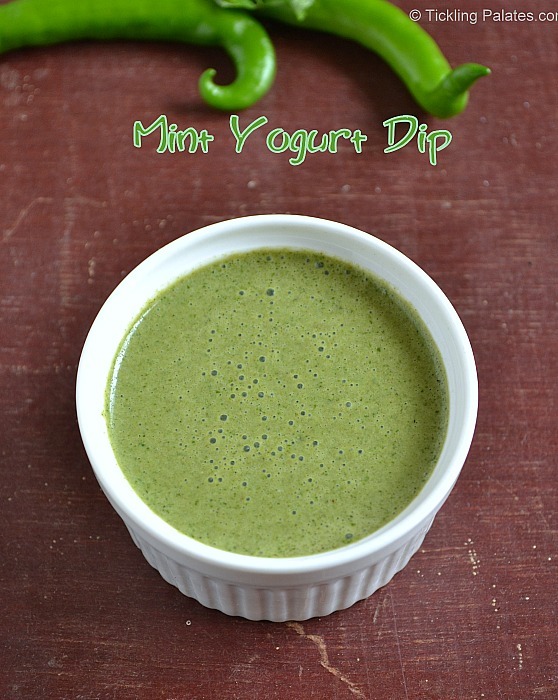 Mint yougurt dip recipe to serve with any snack of your choice or use in a multiple ways. Clean and wash the mint leaves (pudina). Place all the ingredients in a blender and blend well to a smooth paste without adding any water. well go with Kebab… Absolutely enjoyed this with cauliflower fry and mushroom 65 ..